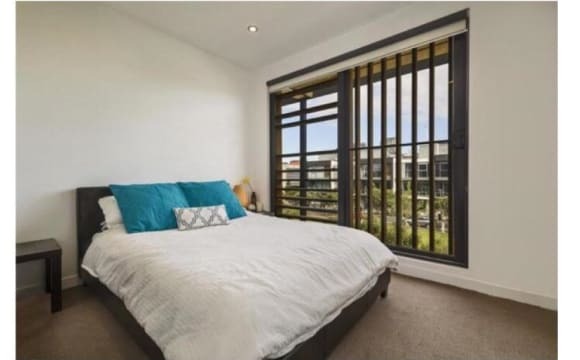 Huge and luxurious private bedroom in Docklands available!! The house is huge, the room is located on the 3rd floor of the house, with your one bathroom. The living room is very spacious and a perfect place to chill and relax On the free TRAM ZONE! Routes 86 and 70!! Nice location and good price. Close to everything you need. 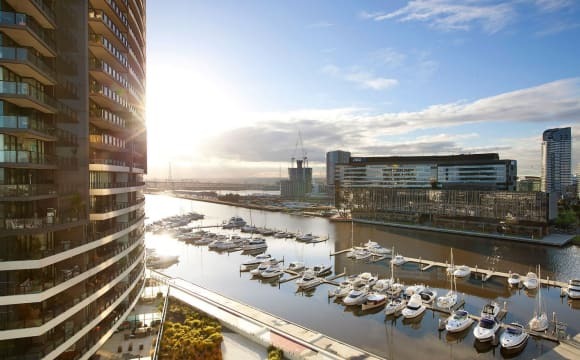 Address: 227 harbour esplanade docklands 3008 🔆long-term first.🔆 Minimum term-one week. Available at 9th of April. 150$/week/person bond-300house+150key=450$ Including all bills,wi-fi,but no A/C. Some seasonings,dishwashing liquid and powder laundry detergent will also be provided. Other including: washing machine, microwave, rice cooker, hair dryer.... Building with Gym,swimming pool, SPA, Sauna, studying room, Rooftop garden, BBQ area..... It’s not a party house‼️ If all above suits you,PM me to arrange an inspection. We are off to do farm work and want to transfer lease of our lovely apartment, the apartment comes unfurnished but we need to sell our furniture before our move. We have loved living here and have had no issues at all with property or area. The property has a Pool, hot tub and gym included in rent. Free tram zone right at the doorstep. 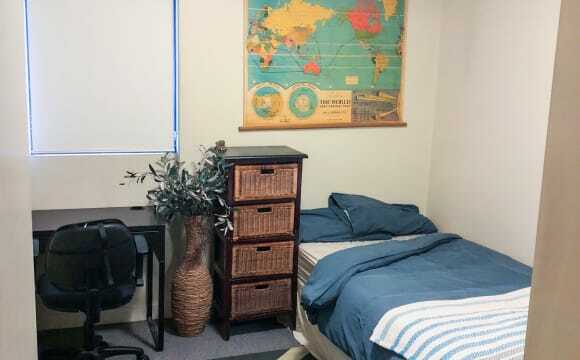 Double room for a single person - $350 p/w Short term might be considered at a higher rate. All bills included, fully furnished. 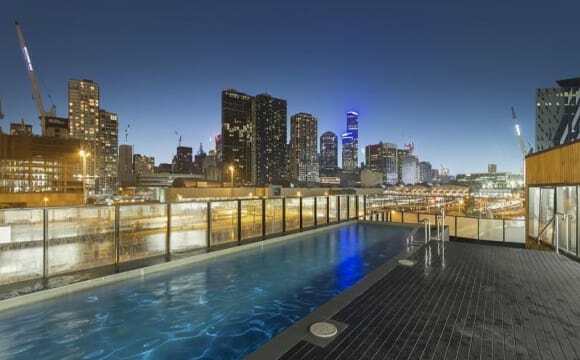 Luxury 28th-floor Docklands apartment. The Apartment: - Amazing views over the harbor on one side &amp; city views on the other. Floor to ceiling windows for a well lit open plan living area. - Available in the building is; salt-water pool, gym, sauna, hot tub with onsite 24hr security &amp; concierge. - Shopping center is across the road with everything you need, groceries, bars, cafes. 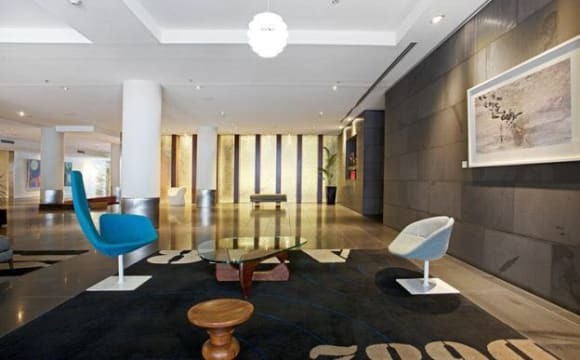 - Southern Cross train station walking distance, only 2 stops to central station! (8 mins) - Fully equipped laundry with washing machine, dryer &amp; iron. - Stan, Apple TV, Netflix etc. Unlimited internet, &amp; all bills included. Emphasis on - being considerate &amp; showing initiative. It's a nice apartment which we want to maintain a certain standard. An incredible apartment for those who appreciate a high standard of living, at an affordable price. Excellent for young professionals &amp; business owners. The luxury atmosphere is sure to impress your guests! THIS IS FEMALE ONLY APARTMENT! We have double bed room plus one private bathroom (incl toilet) to let for short term / long term. 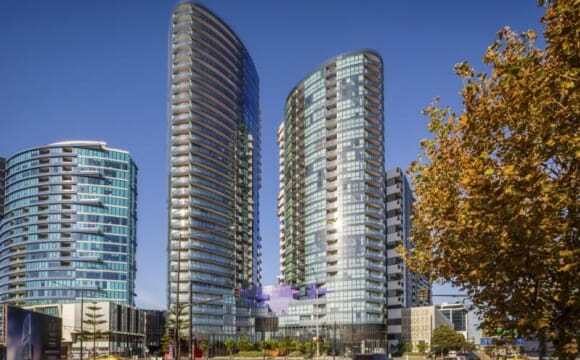 The apartment is located in Docklands (2min walk to tram stop, free tram zone), it has two bedrooms with two bathrooms. The apartment has great views as it is located in 23rd level The room is doublebed room sharing with roommate and you will also have your bathroom and toilet within the room. The room has double bed, built in wardrobe, chest, desk, chair and the lamp. The apartment has top quality facilities including swimming pool, spa, sauna, library, tennis court and BBQ area. The room is available from 16th APRIL 2019 ($180/w) The price is including utilities and internet. We are quiet and gentle. The apartment is clean and tidy. If you are interest, please feel free to contact me. 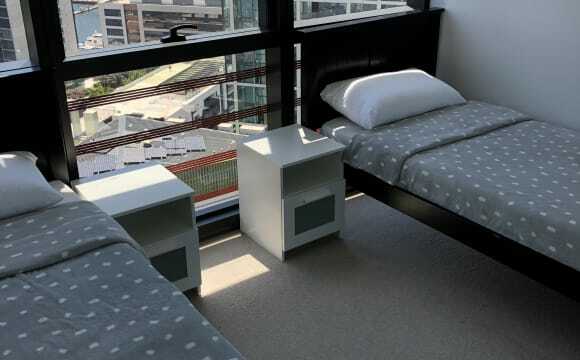 [MELBOURNE CBD / SHORT TERM RENT AVAILABLE ] Looking for sharemate Female Room - Female sharemate wanted(3ppl room) - A single bed($155 pw) is available from 07/05/2019 - An upper bunk bed($145 pw) is available from 26/04/2019 - the refundable deposit is 2 weeks of rent Male Room - Male sharemate wanted(Twin bed room) - A single bed($22 per day) available 25/04/2019 ~ 29/04/2019 - the refundable deposit is $100 This is multi cultural share house. You will be sharing the place with neat and nice 6people(3male 3female) include you which is ideal for practising your English! Location at downtown Melbourne, (673 La Trobe st). It is right by the free tram station. Also, nearby Southern cross station and Coles. It is great to go swimming and work out though the subsidiary facilities. Hello, We are looking for a house mate to join our apartment in docklands. This is a room has nice view and large window. Built in robe. All the kitchen equipment are shared, you just need to bring your own stuffs. We have a mini - gym equiped with TechnoGym. This is a great place with beautiful view and looking for someone great!. Not a party house but occasionally I would like to hangout with flatmates or go for a ride if the time suits. Bond - $1000 Couples - $330PW + bills. All bills will be approx $10 -15 pw per person. Please leave a message to arrange time for inspection. 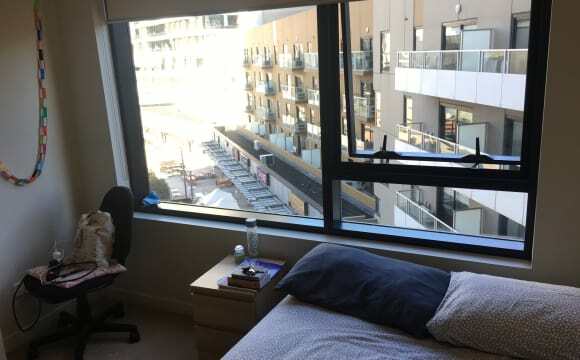 One large bedroom with ceiling to floor windows available in a beautiful apartment in the Docklands (free tram zone). Your own bathroom is right beside the bedroom. 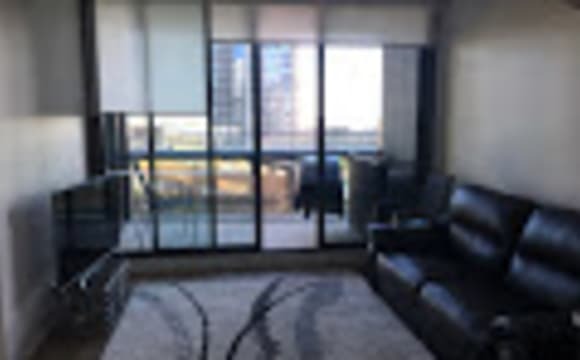 I am student studying at Melbourne Law School and need to find someone to share the apartment with until February. The building is brand new and includes a large lap pool and a large hot tub. You can come and inspect this apartment anytime. Do not hesitate to ask any questions. My name is Phillip and you can reach me. I also have a video of the entire apartment I can send you before inspection. This beautiful and big apartment has a swimming pool, AMAZING view, gym, sauna, and bike cage. There are 6 people (1 boy 5 girls)in total, 3 bedrooms, 2 bathrooms. We are from France and Colombia. We are young, friendly and love meeting new people from all over the world and hang out. Close to the city. On the city circle line meaning free tram. Ease of access to all public transport a few tram stops from southerncross station . Skybus to airport at doorstep. Swipe pass bike room. For cars we are right at the freeway entrance. Many restaurants available. Many job opportunities. Across the road from The District shopping town. By the water. Huge Park with BBQ. Costco. City as your backyard. Communal laundry room with dryers and washers for large items. Also personal washing machine. One main rule. 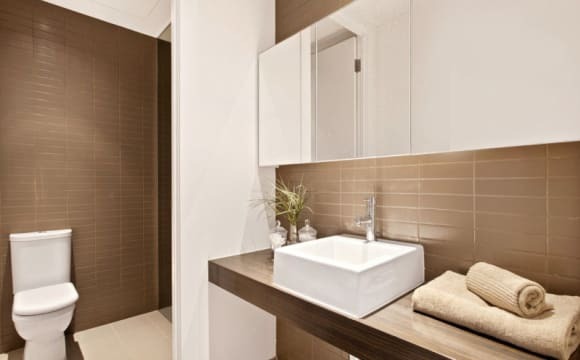 Keep the sink clean (bathroom and kitchen). Anyone that's domesticated should be able to manage themselves and stay tidy. Large living area. Balcony. House comes with all the basic essentials including a bathtub. Hi Guys, We are looking for roomies who are tidy and clean to join our family. We share the house cleaning duty so if you are lazy to clean...please don't come. Please have a good look of our policy before inspection. We don't want to waste time of both. Now we are looking for.. 2 girl in 4 ppl's room, bunk bed We are friendly, clean and respectful, enjoy our personal time and sometimes gather together as well. Need photo ID copy to move in. Feel free to book inspection if you are interested. Looking forward to hear from you. 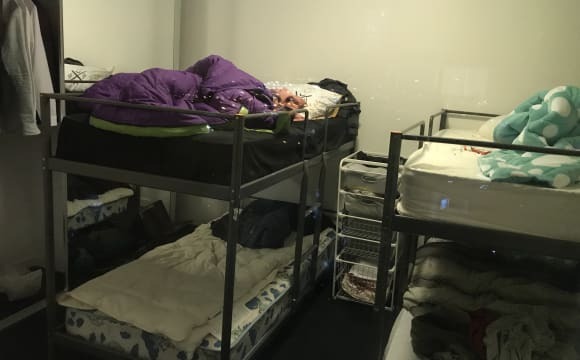 Location - Bourke st Transport - Southern Cross Station - Free Trams stop D17 ( tram 11 or 48) Rent -$140/week - 4ppl room - Rent Includes electricity, water, gas, internet **Important** Please read carefully Only the person who paid the deposit will be gauranteed the room. (To hold the reservation, please pay one week rent, or the room won't be guaranteed ) After moving in, the deposit will go towards the bond, the bond will pay back to you when you check out based on 2 week leaving notice, no damage, clean, and no lost key. Rent should be paid by cash every Sunday. 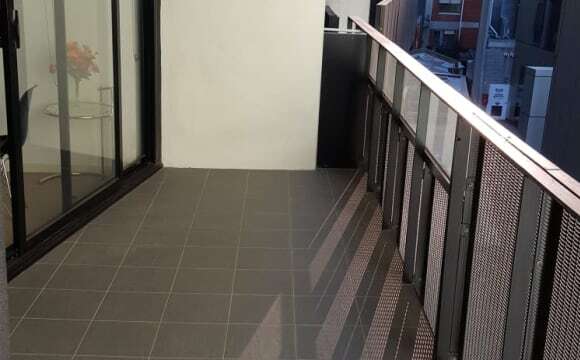 Shop - Woolies 2 mins walk - Asian Grocery shop 2 mins walk - Convenient store cross the road - Restaurant &amp;Cafe Smoking - Allowed only on the balcony, no litter.